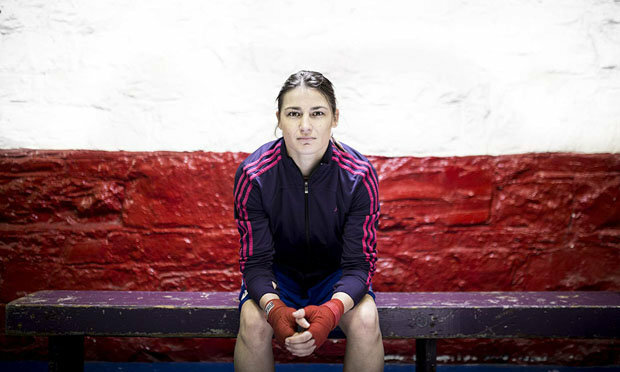 Even those who aren’t boxing fans can’t help but admire Katie Taylor. The Bray born pugilist has managed to carve out an impressive career in a traditionally male dominated sport. And she has somehow managed to do it without offending anybody. She doesn’t do the trash talk of the likes of Conor McGregor. Nor does she splash her private life all over the media. She genuinely seems married to her chosen sport and comes across as extremely likeable and humble in interviews. This documentary follows her as she makes inroads in her professional career after an extremely disappointing performance in the Rio Olympics. Plagued by doubts following her spectacular loss there, and without a manager after falling out with her father, she literally has to start from scratch building her reputation in the more showy and competitive pro world. Her efforts are also hindered by the fact that women’s boxing isn’t taken as seriously as men’s so Katie and her team literally have to change the system as well as break through the ranks to get her a coveted title fight. Whitaker had full access to Katie and it truly is fascinating to witness her grit and determination to succeed. She is incredibly single minded and other than the glitch in Rio this shows in the many remarkable wins she has enjoyed over the years. It is this same moxy that saw her pretend to be a boy in order to be allowed to box competitively as a child and also saw her fight to get women’s boxing recognised as an Olympic Sport. It is difficult not to admire her and even the most cynical of viewers would have to acknowledge that she deserves every iota of her success. The problem is that we don’t see much more than that here. We witness many professional highs and lows but Whitaker barely scratches the surface when it comes to discussing her father and what happened between the pair. It undoubtedly had a devastating effect on her but it garners mere minutes of the running time and a couple of other brief references later on. While her training and fights are indeed impressive (and exhausting to watch – you will feel extremely lazy watching this!) it would have been nice to get to know a bit more about Katie outside of the ring. Given that his subject is so engaging this makes for an entertaining enough documentary. There are shades of Rocky and Million Dollar Baby throughout and her remarkable rise would make an excellent feature film. Don’t expect to learn anything new about the champ though. This is pretty one tone throughout and the focus is predominately on her career. Even her family members discuss her boxing and its impact moreso than giving us a glimpse into what makes her tick. Her mother feels that because she was a shy child that sport gave her an outlet. But plenty of children use sports in this manner but very few of them have the kind of unstoppable drive Katie has. Unfortunately, you will come away from this none the wiser about what motivates her although you will have a lot of admiration for her.